Holiday shopping can be really expensive! You can be financially responsible AND thoughtful when you buy Christmas gifts on a budget. I love the energy and joyful spirit of the holiday season. And though Christmas isn’t, and shouldn’t be, all about presents, participating in the spirit of giving is one way to enjoy the season. Personally, I love giving tokens of my affection and appreciation for others during the holidays. That being said, I also like being able to pay my bills so my generosity has constraints. That’s why I’ve learned many ways to buy Christmas gifts on a budget. That way, I can have the joy of giving to others, without being financially irresponsible. Homemade Christmas gifts are usually the first things we think of when we think of inexpensive gift ideas. However, homemade gifts can actually be MORE expensive than store-bought gifts. Plus, many can take substantial time to create and we’ve already established that time is one thing we don’t have a lot of during the holiday season. 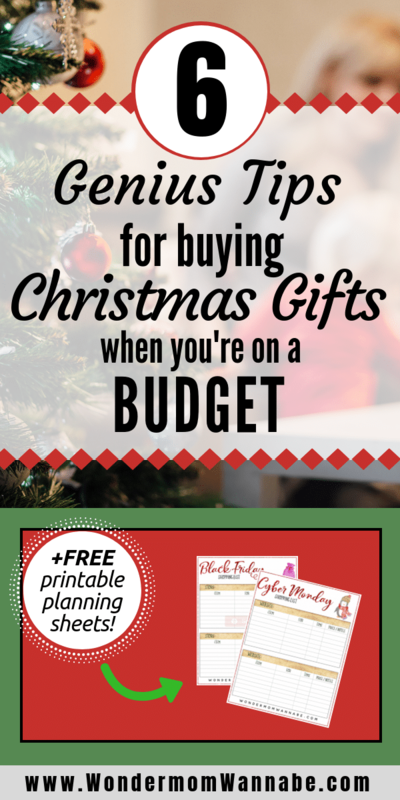 The trick to using handmade gifts to stretch your Christmas budget is to stick with easy and inexpensive DIY Christmas gifts. 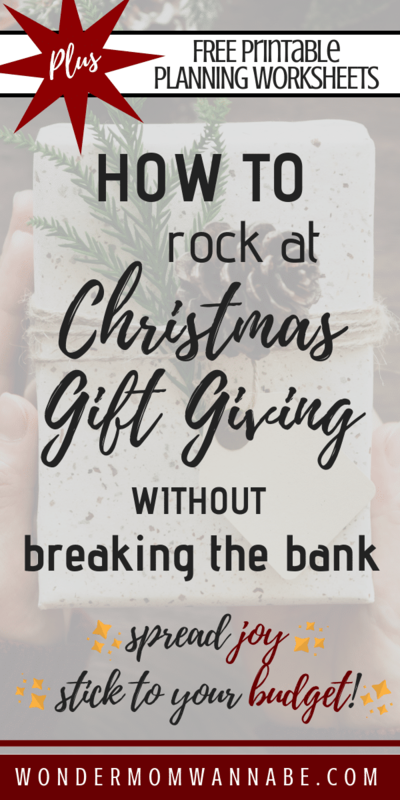 If possible, choose gifts that work for multiple people so you can take advantage of the next money-saving gift shopping tip. It’s often far cheaper to buy items in bulk, as long as you plan to use all of the items. As much as possible, try to group gifts so that you can buy in bulk. For example, if you like to bake treats for friends and neighbors, buy all the ingredients at once. One 72-ounce bag of chocolate chips costs over $4 less than if purchased as six 12-ounce bags. During the holiday season, many businesses offer special deals on gift card purchases. So, you can sometimes get $30 worth of gift cards for $25 (or greater savings on larger amounts). I’m the first one to admit that I get caught up in the excitement of having lots of packages under the tree. After a couple of years (I’m a slow learner) of going over-budget and then having resentment towards my kids in January when those toys they “had to have” were collecting dust in the corners of their room, I realized something. First, my kids definitely didn’t need most of the stuff they got for Christmas. Second, the thrill of new toys is short-lived so the more you spend on them, the more money you’ve wasted. Third, I was setting my kids up with unrealistic expectations. After all, when else in life are you going to get so many of the things you desire just because you want them? That’s certainly not MY reality, yet based on Christmas my kids could easily believe it was a realistic outcome. Replace some individual gifts with family gifts – a family board game, a movie, a family cookie jar. As a general rule, I try to avoid paying the full retail price for anything. 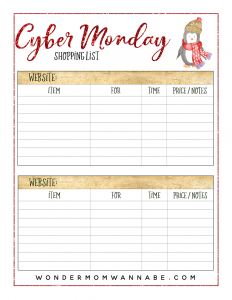 I use a variety of tools and tricks to save money while shopping. 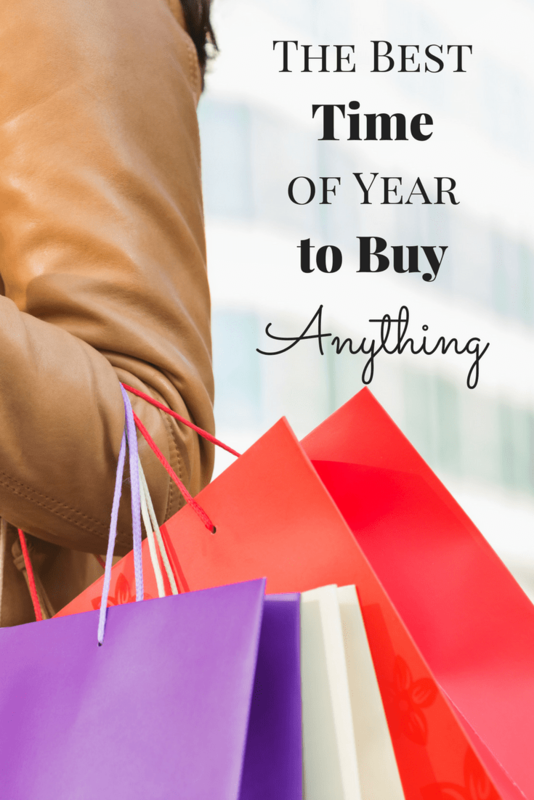 Also, you can save big during holiday sales if you plan well in advance. 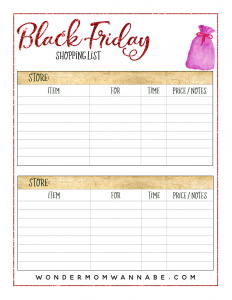 Use my Black Friday and Cyber Monday planning sheets to strategize for the largest savings. Also, sign up for text and email alerts for your favorite stores and deal sites. I love Hip2Save and Money Saving Mom. If you’re not already a member of TopCashback, join for free. Last year I got Pie Face for free and in September I got the Wonder Woman movie for free. It’s not easy, but it IS possible. One of the easiest ways is to cash in the rewards points on your credit card to redeem for gift cards or merchandise. Look for a card that pays the highest rewards for the type of spending you do the most. 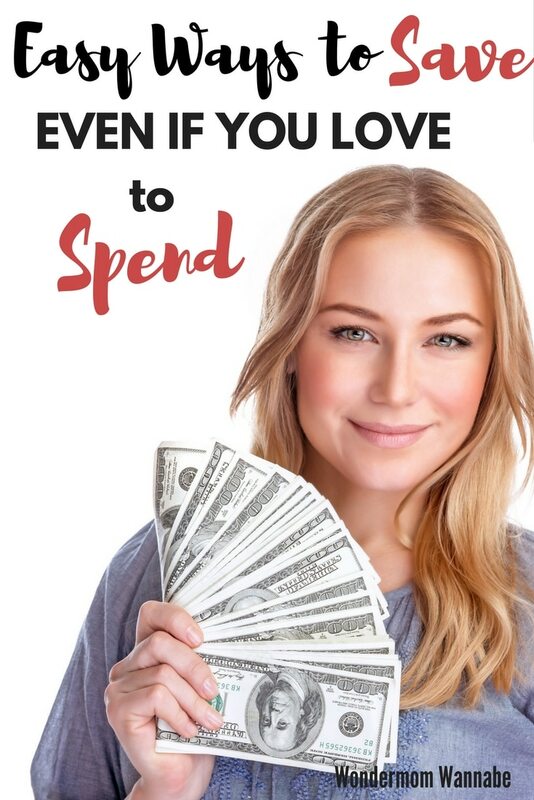 With a house full of tweens and teens, I spend a lot of money on groceries and gas (to get everyone to all of their activities) so the More Rewards American Express card from NFCU is ideal for me. I earn 3 points for every dollar spent at supermarkets and gas stations. Another easy way to get things for free is to enter giveaways. You can score some great prizes that you can give as gifts and it won’t cost you a penny! To find giveaways, my favorite sites are Online-Sweepstakes and Contestgirl. You can also find giveaways listed on Amazon. If you exchange gifts with friends, consider organizing a gift swap where you trade items you no longer need. This concept works great for members of a book club – each member brings a book she’s already read and swaps with someone else. My favorite version of this idea is to have a regifting party in January. One great thing about this plan is that it lets you get together when everyone finally has some spare time. Plus, it saves you the trouble of trying to return a gift. 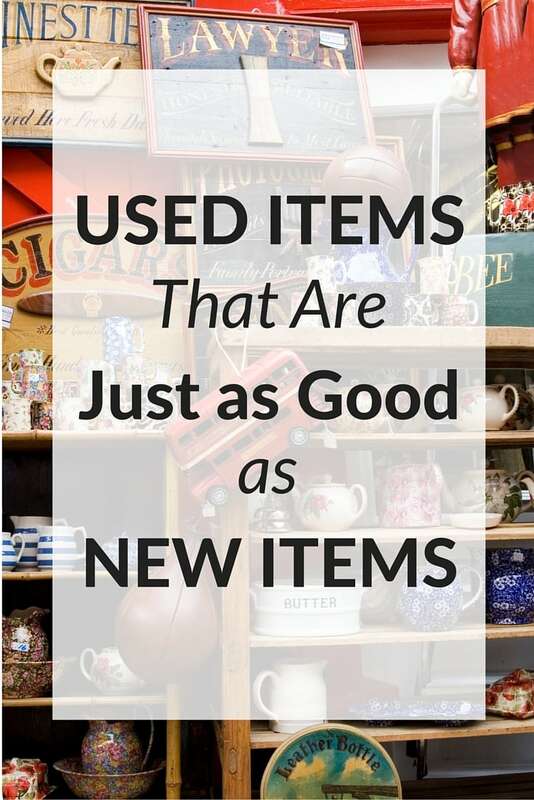 Instead, you just bring it to trade for something you’d like better! 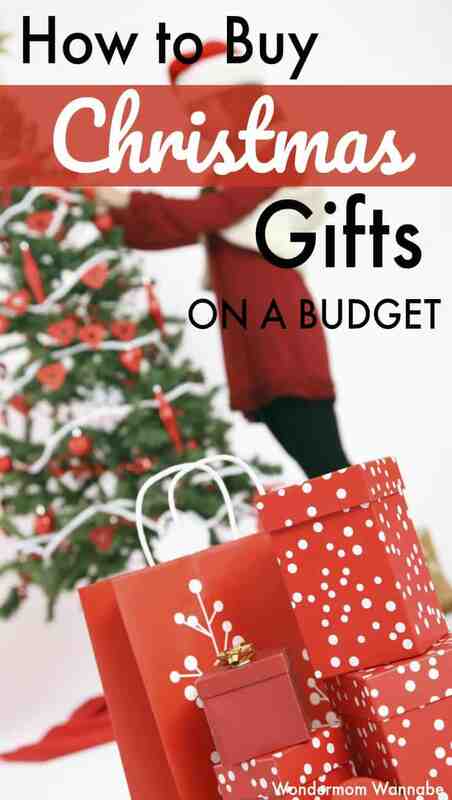 I hope you enjoyed my tips above on how to buy Christmas gifts on a budget. You can be generous and responsible with your money at the same time.